IRVINE, Calif. – (RealEstateRama) — International award-winning KTGY Architecture + Planning is pleased to announce that Simon Perkowitz, AIA, PE, a principal in the firm’s Retail Studio, has been invited to participate as a roundtable facilitator at the International Council of Shopping Centers (ICSC) CenterBuild Conference held from November 29, 2016 – December 2, 2016, at the JW Marriott Desert Ridge Resort & Spa in Phoenix, Ariz. Perkowitz will present “Anchor’s Away – Design Solutions for the Disappearing Big Box Tenant,” on Thursday, December 1st, at 8:00 a.m., as part of the breakfast roundtable program. The CenterBuild Conference is the industry’s premier retail design and construction conference. Perkowitz noted that in the past, the space may have been taken over by another tenant or split into several smaller tenants. Today, developers are considering other options such as creating multi-use environments that could include: residential, office, hotel, and smaller scale retail with an emphasis on dining options. Perkowitz’s experience includes every facet of retail architecture — from master planning, entitlements, ground up design of commercial projects, retail tenant buildings to vertical-mixed use development and various repositioning projects. Perkowitz is dedicated to creating vibrant places that enhance the community and achieve the goals of its stakeholders. With over 40 years of design experience, Perkowitz’ comprehensive knowledge and industry-wide expertise has been invaluable to the successful planning and design of thousands of built projects on behalf of numerous clients. 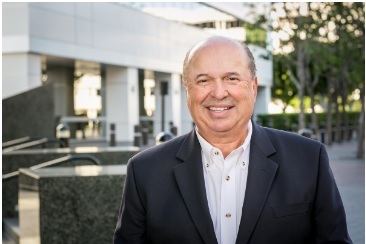 In addition to his work in the architectural profession, Perkowitz served as a member of the City of Palos Verdes Estates’ Planning Commission for 11 years having chaired the commission for six years. He has also provided services to the legal community appearing as an expert witness to support litigation on design and construction related matters.